The effective delivery of primary care requires the good working of a multi-professional team who provide that care. This accessible and concise text explores the ways in which primary care teams can collaborate well to advance the quality of clinical care and enhance collaborative working across the health care system as a whole. Taking a workbook approach, and including examples, narratives, case histories and further reading, Collaborative Practice for Primary and Community Care brings together theory and good practice to offer the reader viable models for achieving excellence. 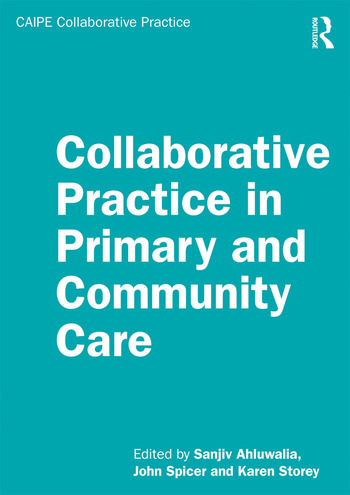 Addressing specific challenges to practising collaboratively throughout, it contains chapters exploring the contemporary context of primary care, collaboration with patients, collaboration between different professional groups, collaboration amongst organisations, and the respective roles of education and technology in promoting collaboration. Written by a multi-professional selection of experienced authors, practitioners and educators, this textbook is designed for a wide audience of healthcare professionals with an interest in primary care.